The layout and landscape of Cornell's historic campus provides a beautiful "walking campus". Due to the College's setting on a hilltop and in a residential area, parking facilities are limited. Therefore, cooperation by all students and their guests in abiding by parking and motor vehicle regulations is expected. The purchase of a parking permit does not guarantee that a parking space in a College lot will always be available. The inability to locate an open space is not an excuse for violation of these parking regulations. A motor vehicle is defined as any self-propelled vehicle that must be registered and licensed by the State of Iowa. All state laws governing the movement and operation of motor vehicles apply to motor vehicles on Cornell property. The speed limit on Cornell roadways and parking lots is 15 MPH. Speed limits on sidewalks and the Ped Mall is 5 MPH. Due to limited parking facilities only typical passenger vehicles (i.e. sedans, SUV's etc.) are allowed to register for on campus parking facilities. Vehicles and equipment of a non-typical passenger nature (i.e. tractors, boats, RV's, trailers) can not be registered. All Cornell students, whether residing on campus or off campus, must register their vehicle with the College. This is required for safety purposes, and so that parking procedures and regulations can be administered fairly for all campus community members. Any Cornell student with a valid driver's license may register their motor vehicle at Cornell. The registered vehicle must be the property of the student or the student's family member or guardian. All students are responsible for complying with parking and motor vehicle regulations, whether driving their own vehicle or one belonging to another person. All students who maintain and/or use a motor vehicle in Mt. 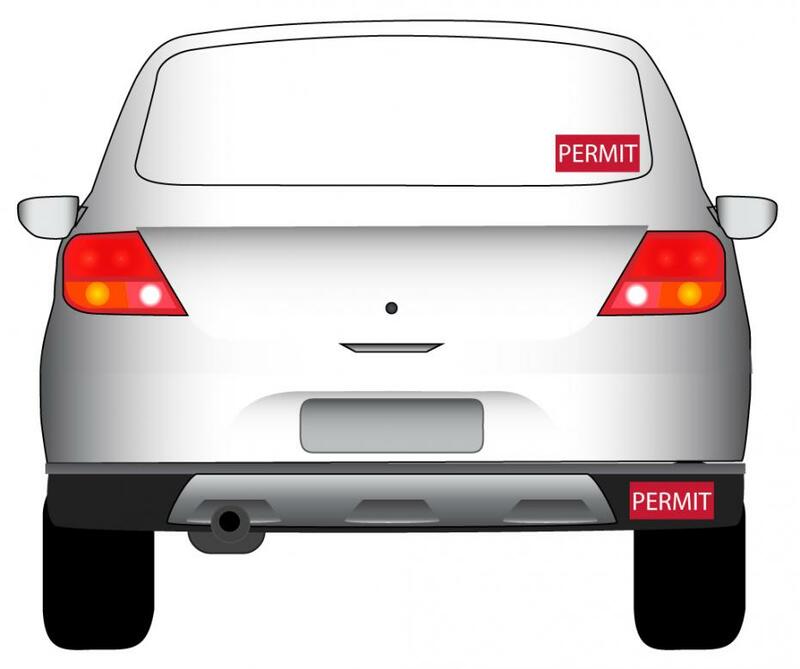 Vernon during any part of the academic year must register the vehicle with the College and properly display the permit. Commuter students are subject to all parking and motor vehicle regulations. Students who live off campus are considered commuter students, not guests. New and returning students can obtain permits by completing the online registration form located at: /campus-safety/vehicles-parking/student-parking-form . New students who complete the online form 48 hours prior to arriving on campus can pick up their permit during new student validation (August 22). ALL vehicle permit purchases must be paid for via the online payment process, no cash payments shall be made in person. Permits purchased after August 22 can be picked up in your on campus mail box approximately 24 hours after you complete the online registration form. Your mail box is located in the lower level of Thomas Commons near the Mail and Service Center. Registration is not transferable to other vehicles and is limited to one vehicle on campus at any given time. If a student changes vehicles, a new permit will be issued at no cost upon return of the original permit to the Campus Safety Office. After one replacement permit is issued, a $5 replacement fee will be charged for each subsequent replacement. If unable to return original permit, a charge of $22.50 will be instituted. The student who registers the vehicle will be held responsible for any violation of parking and motor vehicle regulations involving the vehicle. Any other driver may also be held responsible. The Cornell parking permit must be placed completely by its adhesive and unobstructed with the printed side facing outward in the lower right-hand corner (passenger side) of the REAR windshield or facing outward in the lower left-hand corner (passenger side) of the FRONT windshield if the rear window is tinted. The owner/permit registrant assumes all responsibility for any damage to his/her vehicle while operated or parked on Cornell property. Parking permit registrations are not refundable. Cornell College utilizes a zone plan for student parking. The plan was designed by a committee of students, faculty members and staff members. Students may park in their designated zone only. The one zone for upperclass students includes all student allocated parking lots. Sophomore, junior, and senior students will be assigned to the All Student Zone. Parking anywhere else on College property is prohibited. First year students will have a First Year Parking permit which will entitle them to park in Lot A, Lot D, Lot E and Lot J. Parking in other lots or anywhere else on College property is prohibited. Commuter students with cars must register their vehicles with the College. Commuter students are allowed to park in all student parking zones after purchasing the appropriate permit. Commuter students may opt for the FREE commuter parking permit which only allows for parking in A-lot. Students who do not live on campus are considered commuter students and are not eligible to use guest parking. During winter and spring breaks, student parking may be consolidated to allow Campus Safety staff to more closely monitor vehicles left on campus and Facilities Management staff to remove snow or complete maintenance tasks as necessary. Students will be notified via e-mail in advance of the break to move vehicles to designated lots by a specified time and date. Failure to cooperate will be considered a parking policy violation. As a safety and security precaution vehicles may not be covered by tarps or car covers at anytime. To facilitate snow removal, there are five parking spaces in Lot O (directly in front of Olin Hall along MacGregor Lane) where parking is prohibited annually between December 1 and April 1. Those spaces have signs indicating the parking restrictions. A student whose car is ticketed must pay the corresponding charges through self-service within five business days. Motor vehicle privileges may be revoked and the vehicle subject to removal and impoundment at the owner's expense after the issuance of ten (10) citations. Immobilization of a motor vehicle may occur after the issuance of five (5) citations. A vehicle has been left with a wheel locking device in place for five days. On the fifth day the vehicle will be subject to towing, unless prior arrangements have been made with the Office of Campus Safety. In the event that a vehicle is subject to a wheel locking device but, it is located in a position to impede the safety of the college community or deemed to be a severe inconvenience to others a wheel locking device will not be placed on the vehicle. HOWEVER, the vehicle owner will be subject to the corresponding $100.00 fine, in addition to the applicable initial parking fine. Vehicle owners, when possible to identify, will be notified via email when they have accumulated five tickets and are subsequently eligible for receiving the wheel locking device for any additional offenses. Any individual found to have tampered with or removing a wheel-locking device will be subject to having their vehicle towed off campus and college parking privileges revoked. Damage to any wheel-locking device shall be charged to the person violating campus parking regulations. An appeal of a ticket must be filed within five working days after the ticket is issued in order to be considered by the Parking Appeals Committee. Only the student who has registered the vehicle may appeal a ticket issued against it. Appeal forms are available at the Campus Safety Office located in the lower level of Ebersole or on line. The Parking Appeals committee, which consists of students, faculty and staff, will consider the appeal, choose to change or affirm the citation and penalty, and inform the complainant. A request for an appeals hearing may be made by filling out a form obtained at the Campus Safety Office, or online. Only the student who has registered the vehicle may appeal a ticket issued against it. This form must be returned to the Campus Safety Office for processing within five (5) business days after the issuance of a citation. If you have paid your citation, attach a copy of the receipt to the appeals form. Failure to do so could delay your potential reimbursement. Any student who fails to submit an appeal request before the end of the above business day appeal period shall not be eligible for a hearing and relinquishes the right to further appeal. The Cornell Parking Appeals Committee may confirm, reverse, or modify the citation and penalty. An adjustment of a penalty, in accordance with the decision of the committee, will be processed by Business Services. A second appeal of a violation may be heard, for good reason, at the discretion of the Director of Campus Safety. All vehicle accidents that occur on College property must be reported to a Campus Safety staff member at x4299 or from an off campus line, 895-4299, and to the Mount Vernon Police Department at 895-6141. Students needing temporary parking accommodations due to illness or injury will need to obtain a state-issued Person with Disabilities Parking Permit. This permit will allow a student to park in the designated disability parking spots on campus. The permit is acquired through the Cedar Rapids Drivers License Station located at 3726 Queen Ct SW #204. You may log onto Iowa Department of Transportation for details about obtaining the permit. For further assistance contact Student Health Services x4292. Students possessing disability permits, must register and notify Campus Safety of such permit. Students using designated disability parking spaces on campus must also have valid parking permits. Several loading zones are provided for students. These zones are not to be used for short-term parking, but are for a maximum of 15 minutes of loading/unloading if flashers are used. As a courtesy to others, please be expeditious when using a loading zone. The Cole Library parking lot will now be implementing an ‘open parking' policy from 6pm to 12:01am. This will allow any member of the college community displaying valid Cornell parking permit, to use the library parking lot during this time. Guests may also use this open parking facility during this time, but must display an appropriate Cornell Guest permit if parking for more than 3 hours. The north row, closest to the building will remain restricted to library guests only, at all times. In addition to coordinating parking services and enforcing regulations, the Campus Safety staff routinely patrols the entire campus and frequents buildings. Direct one touch emergency phones connected to the campus safety office are located across campus. Escorts to and from locations on campus are available 24 hours a day. During periods of inclement weather, officers also assist with making sidewalks safe and provide shovels, salt and sand for use by students, faculty and staff. An emergency text messaging service is available through the R.A.M. Emergency System. Visit http://www.cornellcollege.edu/student_affairs/safety/ for more information on services available. Please remember to report any crimes or suspicious activities to Campus Safety or the Mount Vernon Police Department. A guest of a student with a car on campus for more than a 3-hour period must register the vehicle (permits are free) and park in a guest parking space. A guest permit is valid for three consecutive days. Moving the vehicle from one space to another does not equate to starting a new 3-hour or three-day time period. The student host must be present for a guest to be able to obtain a permit from the Campus Safety Office. Guests are subject to all Cornell parking regulations. Students will be held responsible for any guests' traffic or parking violations and fines. The speed limit on Cornell roadways and parking lots is 15 MPH. Guest parking spaces are located in lots near the following buildings: Small Multi Sports Center, Wade House, McWethy Hall, H-lot (between 5 p.m. - 7a.m. daily), Paul K. Scott Almuni Center (North row only) and Cole Library (between 6 p.m.-12:01 a.m. daily). Under no circumstances are students allowed to use guest parking. Students who live off campus or have a car temporarily are not considered guests when they bring vehicles to campus. Students who wish to park on campus must obtain the appropriate student permit. Student motor vehicle traffic on the pedestrian mall is restricted to times of moving in and out of residence halls, or other occasions of special permission. Access to the Ped Mall can only be gained from the Ebersole hill (paved drive between Ebersole and the Thomas Commons). Since there is not a barrier preventing access to PED Mall from the Ebersole hill, and other than the occasion of moving in and out, special permission needs to be granted to prevent fines and/or towing of vehicles found to have accessed this area without permission. Speed limits on sidewalks and the Ped Mall is 5 MPH. Students who are moving from one hall to another may obtain authorization from the Residence Life Office. This should be done Monday through Friday, prior to 4:30 p.m. If an unanticipated situation occurs at night or on the weekend and mall access is needed, call Campus Security (x4299). Authorization will be given only in exceptional circumstances. All areas of the Ped Mall and paved areas not specifically designated for parking are considered emergency/fire lanes and tow-away zones. Violators will be subject to a fine and/or towing.